Mosquitoes can cause more harm to humans than any other group of insects. Mosquitoes not only inflict a painful bite, but they can transmit organisms which cause human diseases such as malaria, encephalitis, West Nile, and the Zika virus. Zika is a disease caused by the Zika virus and is spread to people primarily through the bite of an infected mosquito. The most common symptoms of Zika include fever, rash, joint pain or conjunctivitis (red eyes). Mosquitoes are a midge-like fly with tube-like mouth parts used to pierce the hosts’ skin to consume blood. Mosquito saliva often causes an irritating rash. However, the real danger mosquitoes pose is the role they play as carriers of serious disease such as Zika and West Nile. Mosquitoes hatch from eggs and they start out as swimming larvae. Adults will lay eggs in stagnant or slow-moving water, or on moist soil or leaf litter in wet areas. 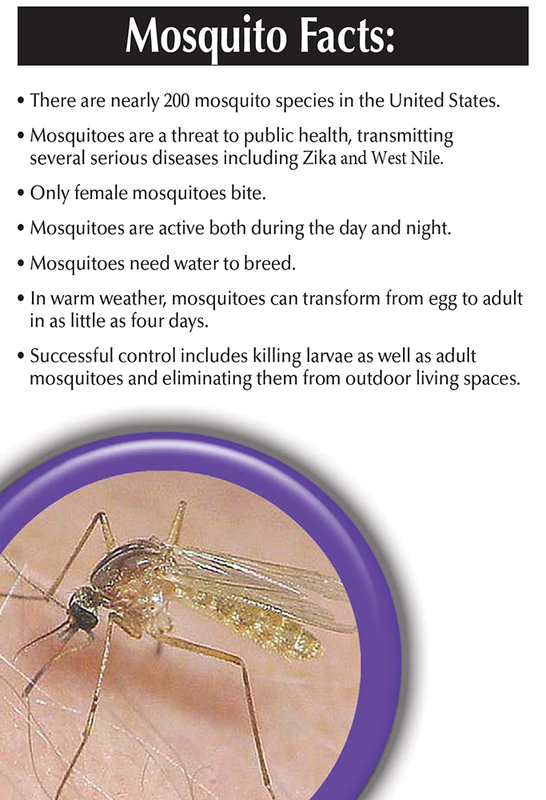 The best way to keep safe is to eliminate mosquito breeding areas. Drain unnecessary containers or any standing water on your property; keep gutters clean and unclogged. Use a larvicide such as Bonide’s WSPs to kill larvae where it is not possible to drain water, or to treat ornamental ponds or bird baths. 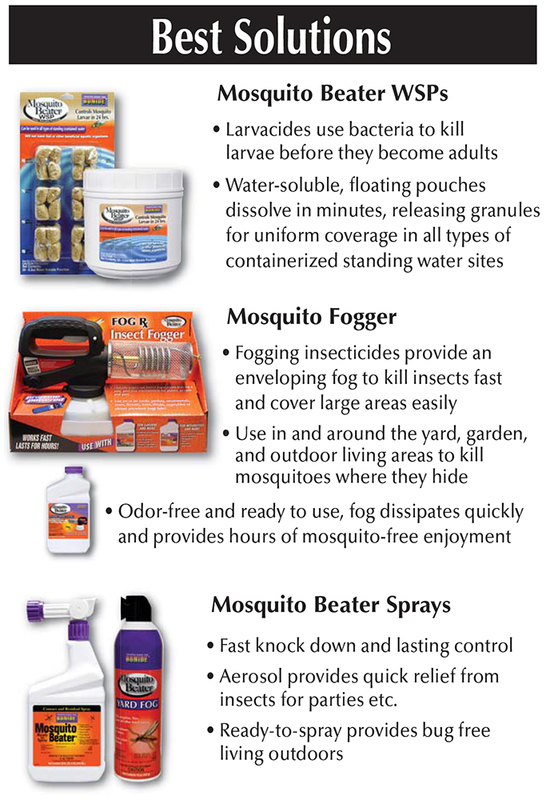 Control adult mosquitoes by treating lawns, shrubs, or wooded areas using Bonide’s liquid Mosquito Beater sprays or fogger.